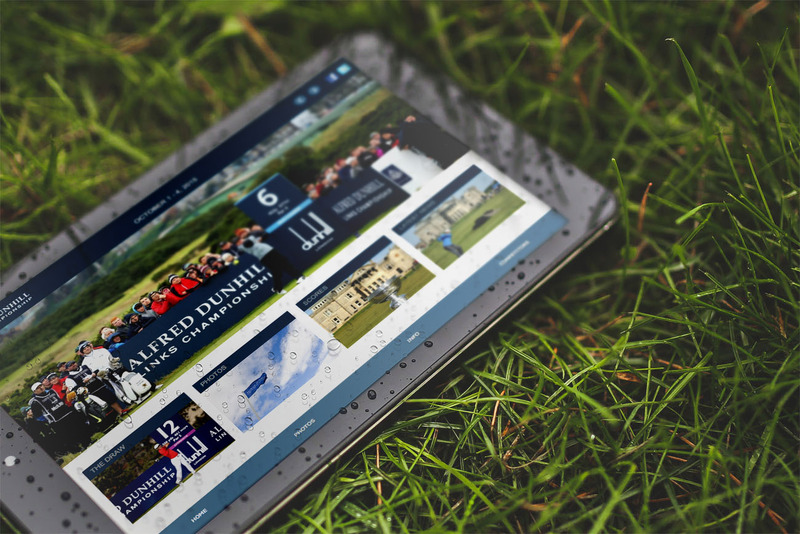 Alfred Dunhill’s annual golf championship sees the world’s top pro golfers team-up with all-star amateurs, to battle it out across Scotland’s world famous links courses, culminating at the home of golf. 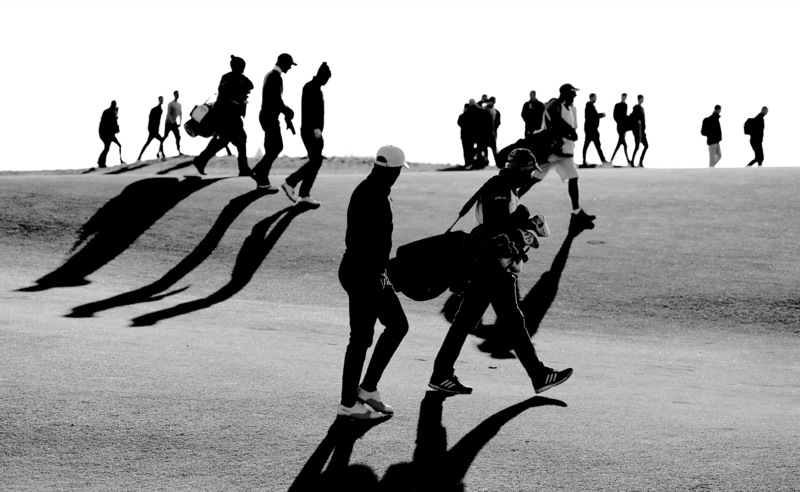 Now in it’s 18th year, the Alfred Dunhill Links Championship brings the world’s greatest golfers and their amatuer team-mate together for a spectacular contest like no other. 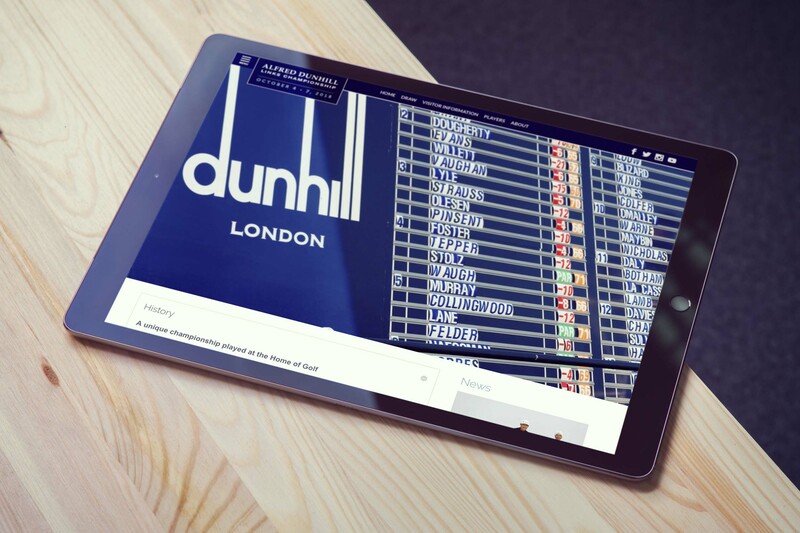 We have worked with Alfred Dunhill for many years, starting with transforming their flash-based website, designing a brave new online experience. Since then, we have simplified and streamlined their offering for mobile and tablet users, every year adding improving and building upon the success of the last. 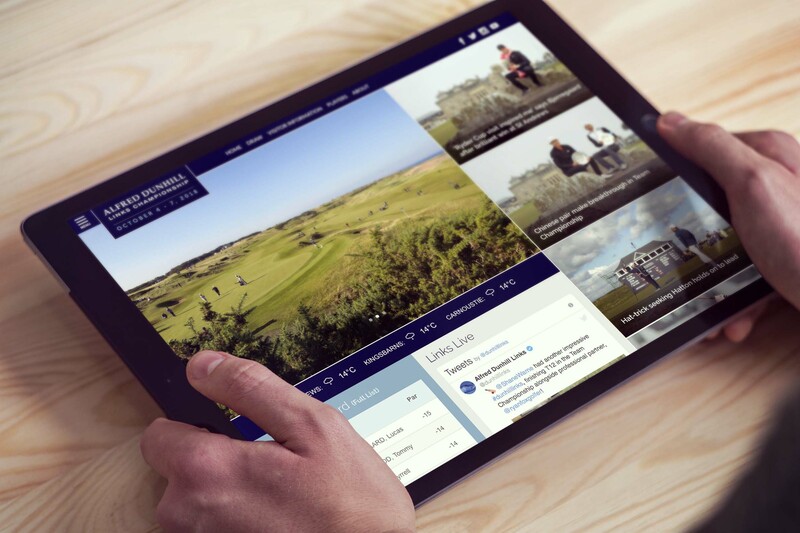 Spanning across a fast-paced week with four event days, our on-site event support covered website and phone/tablet app technical support, keeping a track of the latest on course action. Let’s meet, ponder, grab a full fat latté and get this out in the open. Let’s chat about your idea and bring it to life. Send us a message allowing as much detail as you wish and we will swiftly be in touch.